The completion date for the world’s tallest tower has been pushed back to 2019, a Saudi Arabian billionaire said yesterday, almost six years after launching the record-breaking project. Jeddah Tower is to rise more than a kilometre (almost 3,300 feet), placing it above Dubai’s Burj Khalifa. 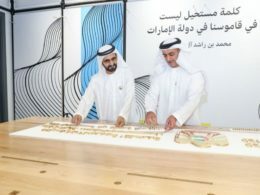 ‘The project was delayed… but it’ll open (in) 2019,’ Prince Alwaleed bin Talal told AFP during a visit to the site beside the Red Sea. 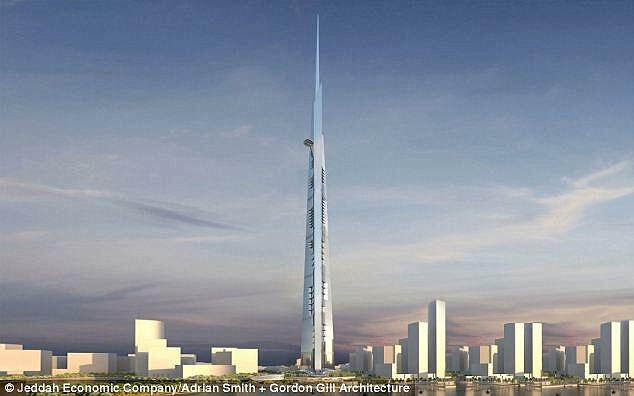 Prince Alwaleed chairs Kingdom Holding Co whose affiliated Jeddah Economic Company is developing the spire-topped landmark. Costs for the project had originally been estimated at around $1.2 billion. But delays and an oil price crash have skyrocketed the total cost to at least $2 billion. The huge fund, compliant with Islamic sharia law, will also be used to develop the first phase of Jeddah Economic City. The City is an urban project surrounding the tower in the Obhur area north of Jeddah. The project contractor Saudi Bin Ladin Group was among construction firms in the kingdom that suffered heavy financial losses after a collapse in oil revenues in 2014. 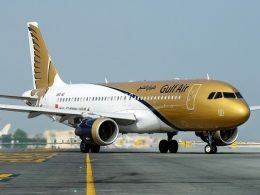 Binladin Group late last year said it had completed payment to 70,000 laid-off employees. 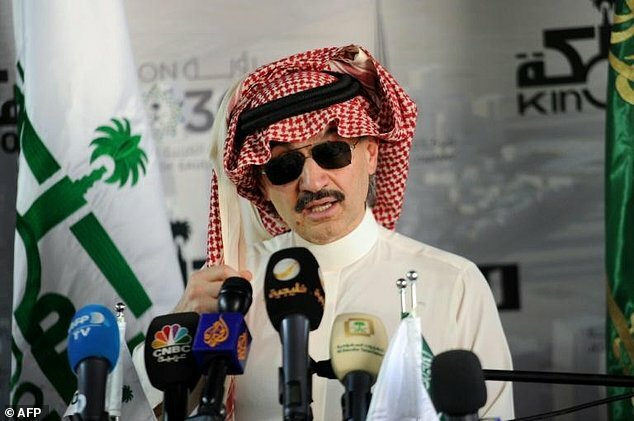 Prince Alwaleed first announced plans for the tower in August 2011, saying it would take 36 months to build after the start of construction. By November 2014, a four-storey foundation was in place and Prince Alwaleed said the building would be finished in 2018. Now the project has been pushed back to the end of 2019. Once dubbed ‘Kingdom Tower’, the 170-storey building is to rise more than a kilometre (almost 3,300 feet), surpassing Dubai’s Burj Khalifa as the world’s highest building. It will feature a hotel, apartments and offices. 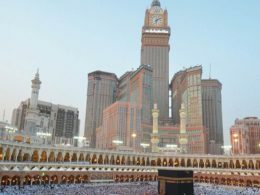 Prince Alwaleed first announced plans for the tower in August 2011, saying it would take 36 months to build after the start of construction. By November 2014, a four-storey foundation was in place and Prince Alwaleed said the building would be finished in 2018. But that was before the kingdom felt the full force of a drop in oil revenues. 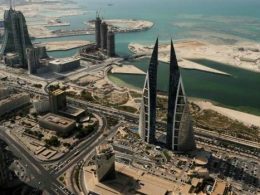 In November 2015, Kingdom Holding said Jeddah Economic Company had reached a financing deal with Saudi Arabia’s Alinma Investment to finish the Jeddah Tower, which then had 26 floors.